My real job--the one that provides my paycheck--got rather unexpectedly busy over the last couple weeks, causing me to fall behind on normal updates in the M-Brane world, such as the release of M-Brane SF Quarterly #2 last week (thank you to the writers who have done more to spread the word on this so far than I have). 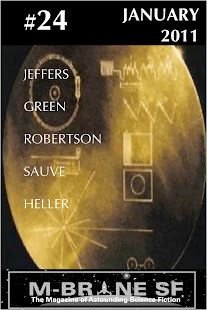 This is the second volume of a print book series collecting the fiction from three electronic issues of M-Brane SF. Also, this book contains some items not included those issues: two spectacular stories by Zachary Jernigan and an interview with him. It's such a lovely book, way worth the $9.95 on Amazon. 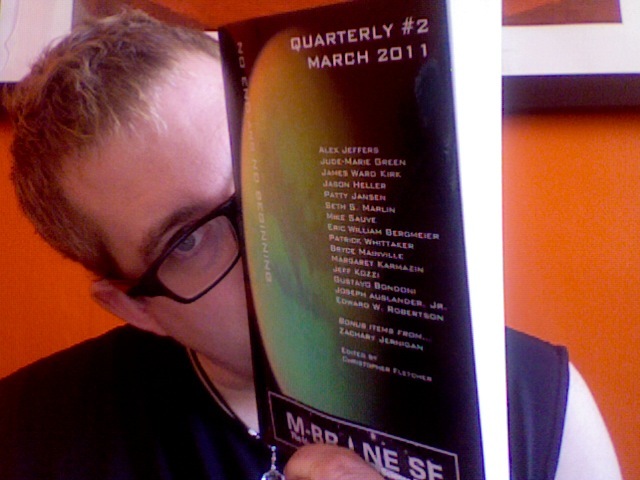 M-Brane SF makes a couple dollars profit on each sale, and all of this money goes right back into continuing the zine and our other publishing projects, so picking up a copy is a good way to support us and also to find some really fine fiction.